The Kids’ Table is a unique Chicago cooking school with two locations (one in Wicker Park and one in Lakeview). We do lots of hands-on cooking classes and programs for babies, tots, kids, teens and even the whole family. Because cooking is fun and "real food" is really good! Babies can cook! Now is the time to set the stage for a lifetime of healthy eating. 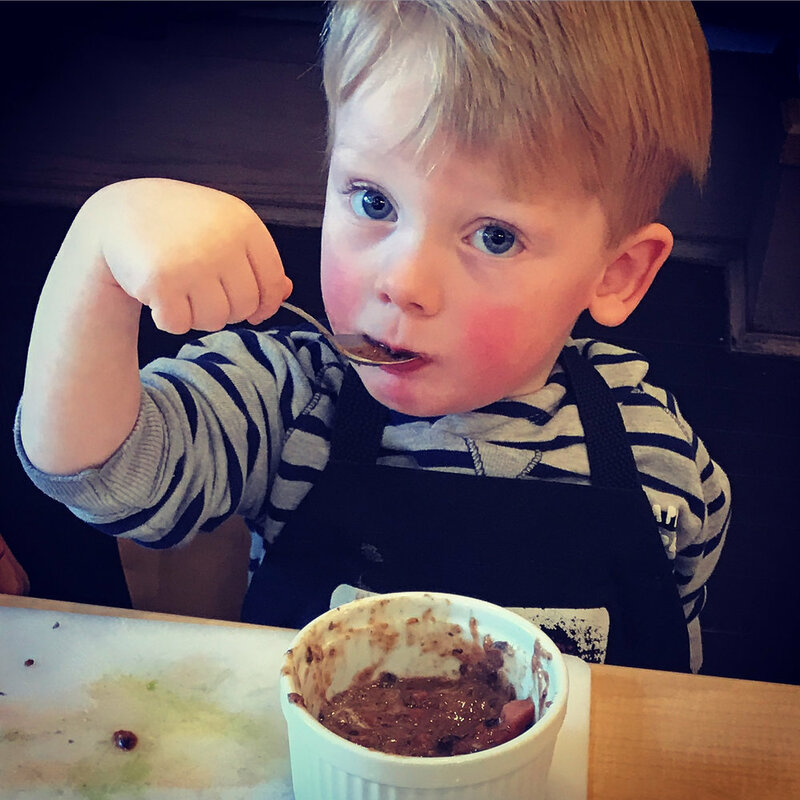 In our baby classes, your young chef will tear, mix and roll their way through a yummy recipe in each class, with lots of smelling, touching and tasting along the way. We learn to share meals together and even clean up after ourselves - all with just the right amount of song and dance! In our tots classes, your budding chef gets to chop, grate, mix and roll their way to delicious dishes, and discover that good food can be great fun! If you have a picky tot, you may be amazed at what they’ll eat when they make it themselves. 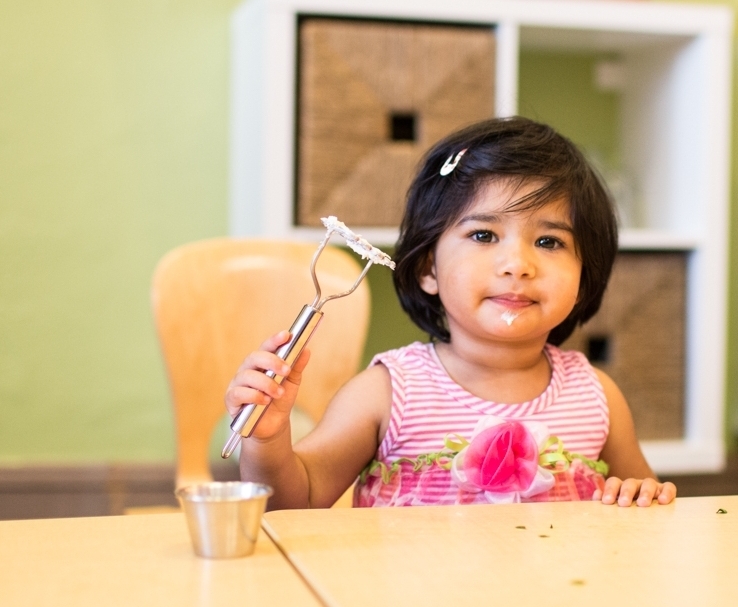 Tots get to learn and practice cooking skills, engage all their senses, explore new flavors, enhance motor skills, experience community, and enjoy their tasty culinary creations. 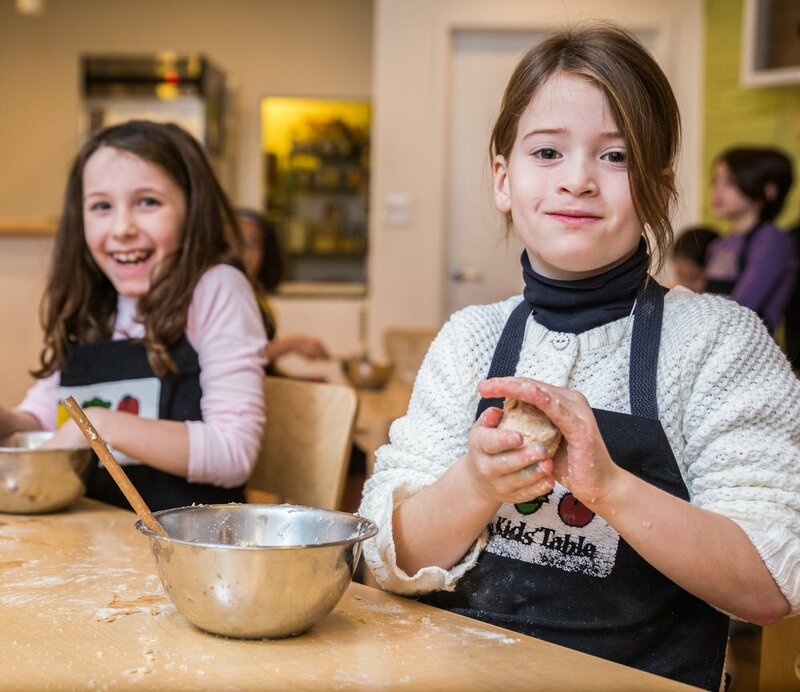 Kids get to work independently with the guidance of our skilled instructors - chopping, grating, measuring, mixing and rolling their way to delicious dishes. You (and they!) will marvel at how much they are capable of in the kitchen. 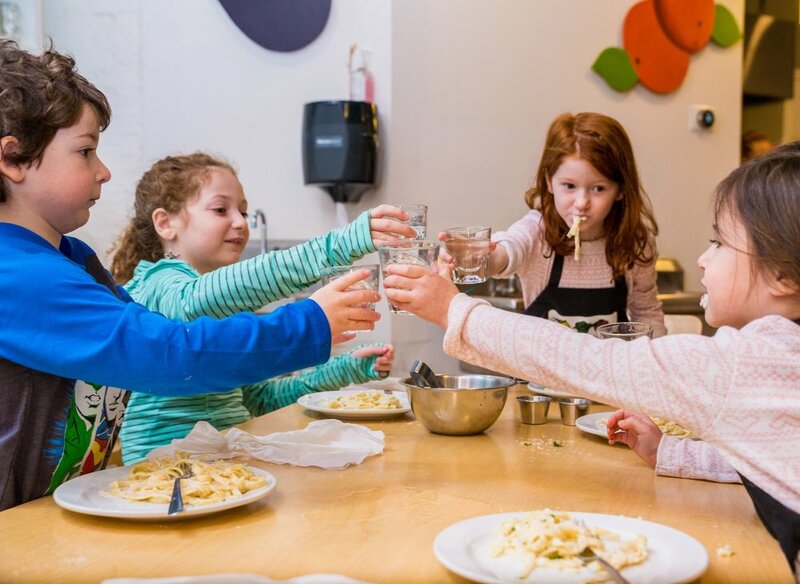 Kids learn valuable culinary skills and new recipes, enjoy a fun and communal activity, and are inspired to expand their taste buds to discover that "real food" can be really good! No upbringing is complete without a basic knowledge of how to feed yourself! Our teen classes and programs incorporate basic and advanced cooking techniques (including knife skills), food and kitchen safety, recipe and ingredient origin, time-saving tricks and nutrition tips. But we don't just build skills and cook up delicious dishes. We create a fun and communal environment for teens to connect with food and each other.